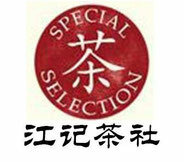 Since ancient times, it has a tradition of tea treatment. It is recorded in ancient medicine book that people used aged tea to treat diabetes, dysentery and colds. According to the modern medical science tea polyphenols, tea polysaccharide, tea saponin, amino acid, alkaloids and inorganic elements have health benefits on human beings. Tea is a special drinking which enhances human immunity and resists oxidation and aging, prevents canceration, lowers blood fat and regulates the metabolism. Supplementing dietary nutritionDark tea contains abundant nutritional elements including vitamins, mineral substances, protein, amino acid, saccharides and so on. 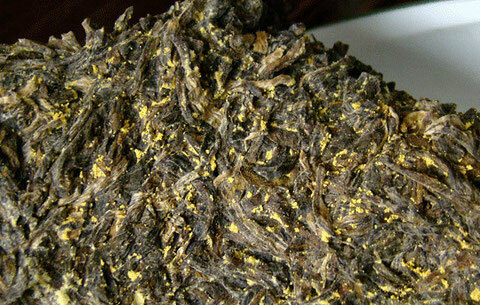 Dark tea is an important source for absorbing mineral substances and vitamins for the northwestern inhabitants who mainly live on beef, mutton and dairy and lack in taking in enough vegetables and fruit. Thus dark tea is called “tea of life”. The caffeine, vitamin, amino acid and phospholipids in dark tea are helpful in digestion, regulating fat metabolism, stimulating gastric juice secretion and increasing appetite. Japanese scholars’ scientific research shows that dark tea has strong functions in cutting grease and digesting. This is the reason why the carnivorous nationalities particularly like this kind of tea. The minorities in Northwest of China live mainly on beef, mutton and cheese. It is said that they would rather live without food than live without dark tea. The dark tea is vital for them because it has the effect of solving grease. Besides, dark tea can improve the microorganism environment of intestines and stomach and clean up intestines and stomach. In China, people keep the tradition to utilize dark tea to cure dysentery and indigestion. Dark tea has excellent functions in lowering blood lipid, resisting blood clotting, promoting fibrinogen dissolution, inhibiting platelet aggregation , loosening vascular wall, increasing effective diameter of vessel, inhibiting the formation of atheromatous plaque in internal wall of aorta and coronary artery and achieve the goal of lowering blood pressure, softening vessel and preventing and curing of cardiovascular diseases. An epidemiological survey shows that people who live in the northwest such as Xinjiang, Inner Mongolia and Qinghai keep the habit of drinking dark tea and benefit from dark tea for its outstanding functions in regulating blood fat, blood sugar, blood pressure and vascular sclerosis and controlling of body weight and shaping figure. The theory on the relation between free radical and ageing says that under normal physiological conditions, the free radicals in the human body constantly generates and are constantly eliminated and then keep its balance. Dark tea contains not only abundant anti-oxidation substances such as catechin, tea pigment, falconoid, vitamin C, E and D, carotene etc., but also plentiful anti-oxidation trace elements such as zinc, manganese, copper and selenium. The catechin, tea pigment, theanine and tea polysaccharide especially the plentiful complex flavonoid in dark tea have the function of eliminating free radicals, thus dark tea does well in anti-oxidation and anti-ageing. Cancer is one of the deadly diseases of the world.Since the late 1970s, scientists from various countries have successively found that teas or tea extracts have the function of inhibiting various cancers. 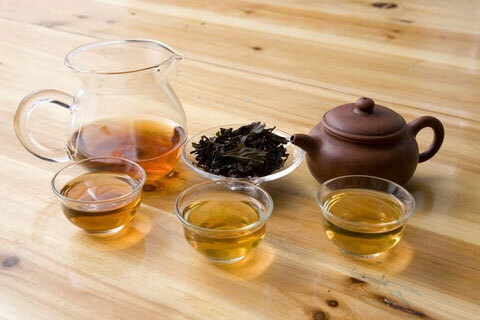 Hunan Agricultural University has adopted cutting-edge high throughput screening technology to carry out the research on cancer cell model SGC7901 proving that dark tea has obvious function in inhibiting tumor cells. It has been reported that tea has function of reducing blood pressure. Recently, it is reported in Japan that theanine, a type of amino acid that is contained in tea can restrain the rise of blood pressure through activating dopaminergic neuron. In addition, it is found that caffeine and catechin in dark tea can soften vessel and diastole vessel to realize blood pressure reduction. Some authoritative experts found that tea pigment has outstanding functions in anti-coagulation, promoting fibrinolysis, preventing platelet from cling and gathering, restraining HASMC hyperplasia, and also has effective function in reducing triglycercide and LDL, heightening HDL and inhibiting ACE to realize blood pressure reduction. The tea polysaccharide contained in dark tea is the major element that can reduce blood sugar. The tea polysaccharide is a mixture of the same type of complex and changeable elements. The test result on tea polysaccharide content of several kinds of tea shows that tea polysaccharide content of dark tea is the highest and its components’ activity is the strongest, because of the formation of comparatively short sugar chain and peptide chain which is easier to be absorbed and has stronger activity than short peptide chain through the action of glycosidase, protease and hydrolase contained in fermented tea. This is one of the reasons why the fermented teas especially dark tea has a better effect of lowering blood sugar than other teas. The major components of dark tea water are theaflavin and thearubigins. The research shows that theaflavin does not only act as an effective free radical scavenging agent and anti-oxidant, but also has effective anti-bacterial action against clostridium botulinum, intestine bacillus, staphylococcus aureus, bacillus capsulatus and bacillus cereus. In addition, theaflavin has certain inhibiting effect against influenza virus, rotavirus virus and enter virus.